Approximately four fifths of these trees are estimated as being between 400 and 600 years old, and a tenth date back some 600 to 800 years - and a few may be a thousand years old. England is ‘rich’ in terms of its ancient or veteran Oaks - the whole of continental Europe has only two thousand such trees (approximately); most of which are in Sweden. 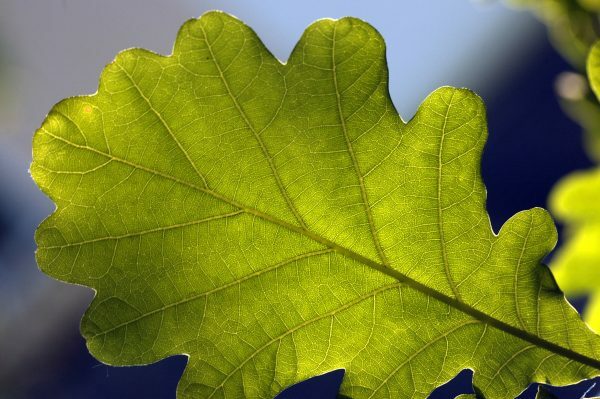 The two species of oak involved are the pedunculate oak (Quercus robur) and the sessile oak (Q. petraea); they are among the commonest native trees of England and Europe, occuring in all countries. It has been suggested that abundance of oaks can be traced back to the time of the Norman Conquest. William and his nobles were keen on hunting and established many deer parks. Indeed, within a matter of 150 years the number of such hunting parks had gone from 35 to approximately 2000. The Normans also imported fallow deer to populate these hunting parks. Due to the grazing activities of the deer, the parks / woodland areas did not become too dense. 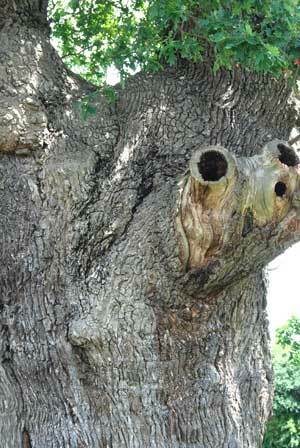 This favoured the oaks, which are slower growing than beech or lime. So these deer parks / woodlands were ideal areas for oaks to grow and prosper in - with many reaching great age. This was true despite many oaks being felled at various stages in history for ship building or house construction, or more recently felled to make way for conifer plantations. The distribution of oaks across England is somewhat uneven (reflecting in part the disposition of the former deer parks). Over half of the veteran oaks are to be found in just 10 counties - Oxfordshire, Worcestershire, Herefordshire, Warwickshire, Shropshire, Norfolk, Wiltshire, Berkshire and Suffolk. Herefordshire has a particularly high count of Oaks older than 400 years but the grounds of Blenheim Palace in Oxfordshire (former deer park) have 112 ancient oaks. 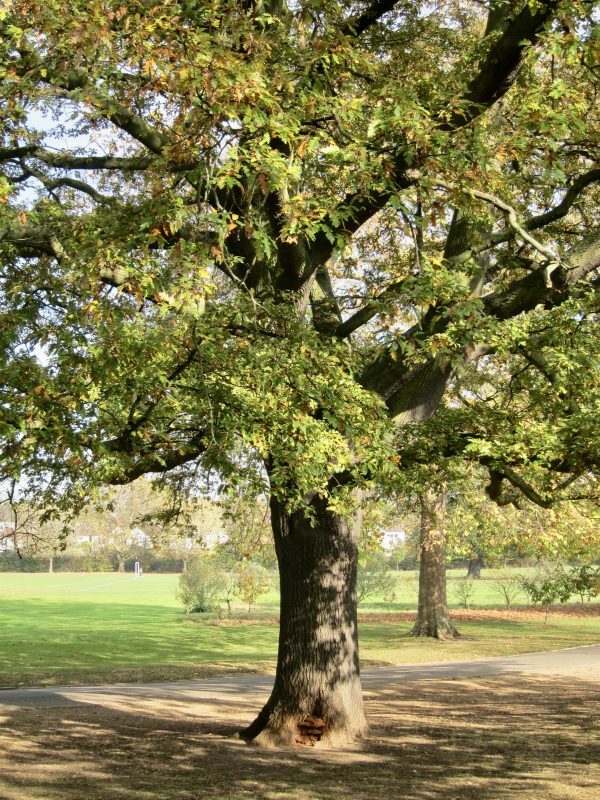 Much of the work on these ancient oaks has been undertaken by Dr. Aljos Farjon (of the Royal Botanic Gardens at Kew); his website presents a summary of the research on the distribution, history and ecology of ancient and veteran native oaks in England. He has also written a book about the Ancient Oaks. In what way do you wish to protect these oaks ? I’ve two magnificent oaks in my wood and would like them protected some way, how would I best do it? 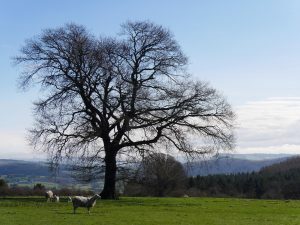 As a participant in many of the ATF trips, and having also bought and read Aljos Farjon’s book ‘Ancient Oaks in the English Landscape’, may I recommend both. The photographs of these ‘behemoths’ alone are absolutely beautiful, and the text beguiles you to seek out at least some of them, and imagine just how long they have lived. It is a serious academic work, yet very readable, full of explanation as to how they have managed to survive, and what other organisms depend on them.